It’s official: Philippines has caught ‘Pokémon Go’ fever. 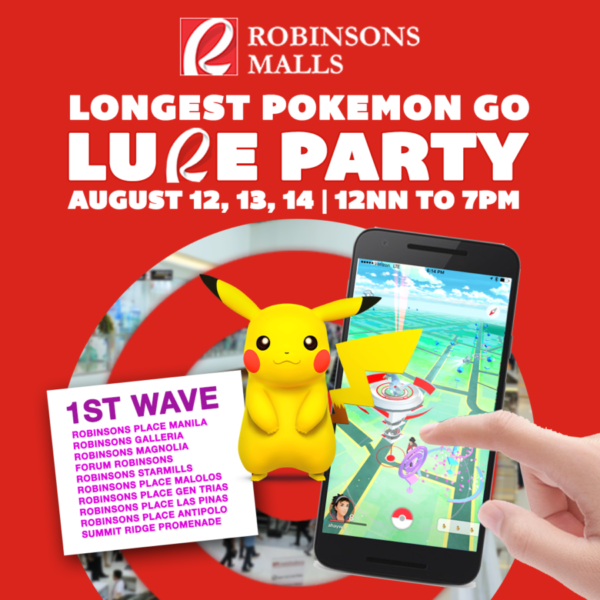 So it was only a matter of time before people, even malls, started organizing ‘Pokémon Go’ lure parties. Here are some happening in the Philippines this weekend. Philippines’ BIGGEST LURE PARTY is happening this weekend! SAVE THE DATE and be part of Pokémon Go history! Pokémon GO! is described as a free-to-play, location based, augmented reality game. It was developed by Niantic for iOS and Android devices, and released earlier this month. It has taken the gaming world by storm, and is fast becoming the most popular game in history. 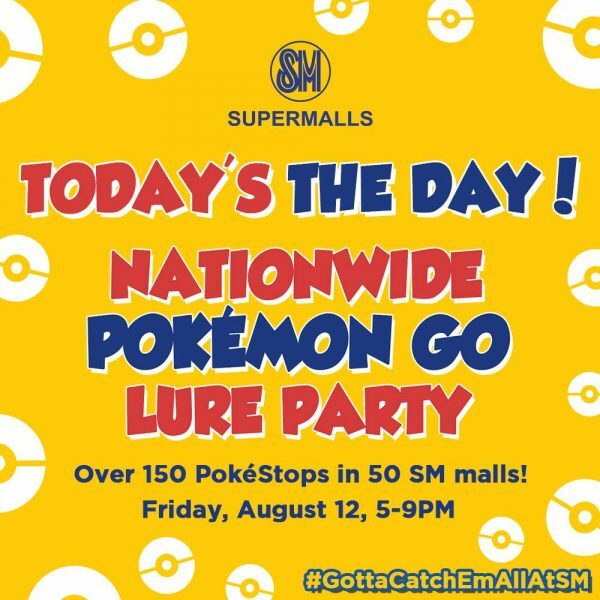 But wait….. SM Supermalls are EXTENDING our NATIONWIDE Lure Party until Sunday! 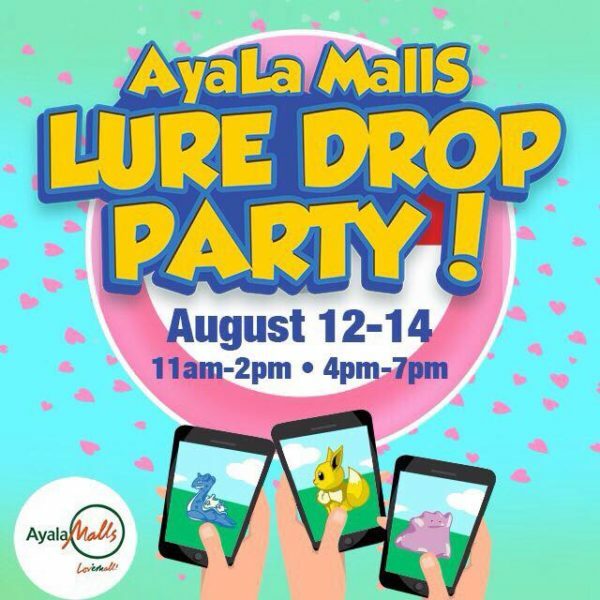 Make sure to check the page of your favorite SM mall to get the Lure Party schedule! Trainers, are you ready for the LONGEST Pokémon Go Lure Party this week? 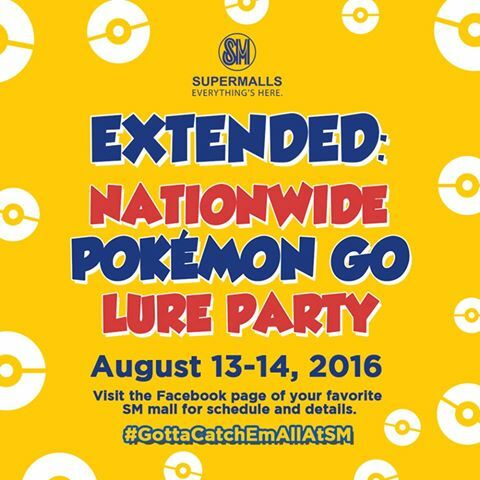 Get ready to catch ’em all on August 12, 13 & 14 with non-stop lures from 12NN to 7PM! #TheLongerTheBetter right? Charge up your phone and be prepared for chaos if a rare Pokémon appears. Bring your friends and family and see who catches the best Pokemon!